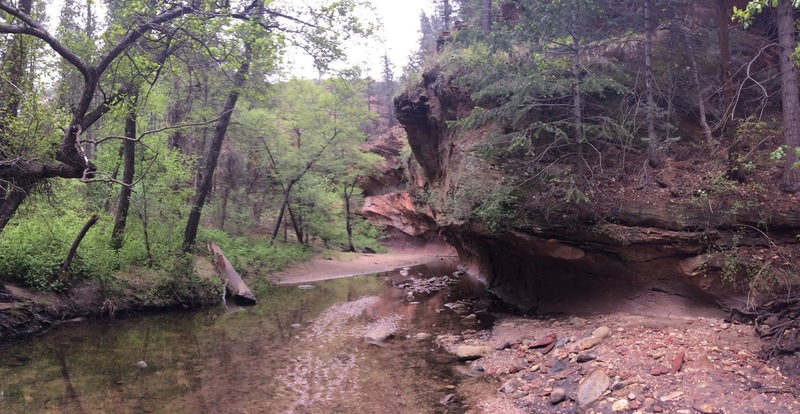 On to our final two night stop, at Sedona. South of Flagstaff the road descends into a deep and heavily wooded gorge. For the first time on our trip we are in well-watered, green country, with early summer lupins and fresh leaved trees. The town itself is a prosperous little tourist town, full of shops selling crystals and native American nicknacks. 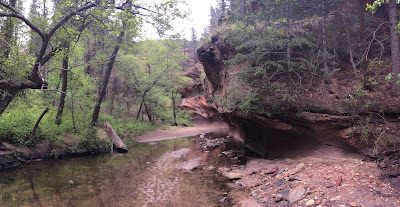 We explored several areas here on foot, including the West Fork Creek and the area of big red bluffs to the south, where we met a lovely lady who had retired and was living in a Winnebago on permanent tour of the national parks, with her cute little dog as her only companion. 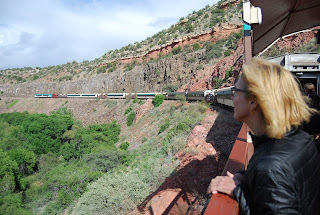 We also managed a trip on the Verde Canyon Railroad, an old mining track that made someone a fortune at the time, and was bought up by a local native American entrepreneur, after it fell into disuse. Arriving in a tropical downpour, which soon cleared up, we were shown to our luxury car, with armchairs and a running buffet, and a sound track of every pop song ever made that mentions trains (and boats and planes). Our down-home stetsoned guide explained the natural and man-made history rolling past, from thousand year old native houses to the day the How the West Was Won film crew blew up the water tower, as we traversed the world’s bendiest train line. So to the final leg, out of the pines and into the Arizona desert with its organ-pipe cacti, then through the vast, ugly sprawl of Phoenix. We spent a little time in the Desert Botanical Gardens, very pleasantly laid out and stuffed with exotic dry climate plant species, before heading to the airport. 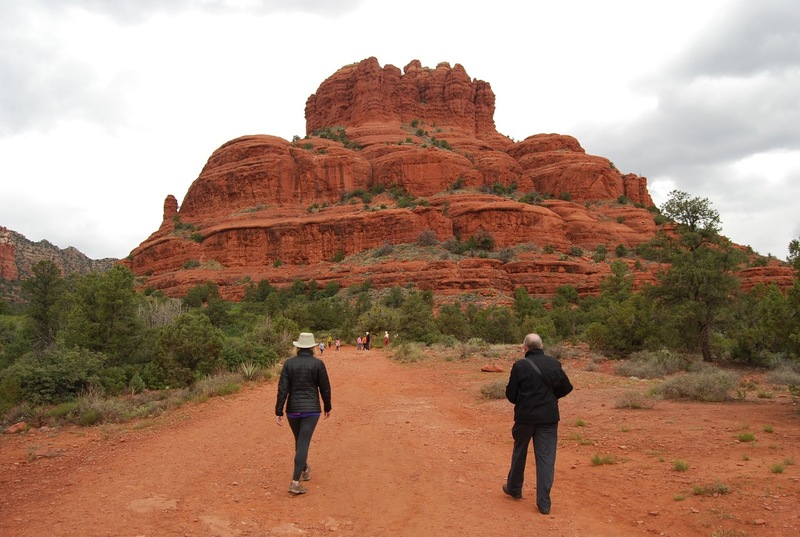 All in all, a rich and fascinating tour, with every type of weather known to man, and natural wonders that have to be seen to be fully comprehended. But I hope these words and pictures capture a little of the magic.